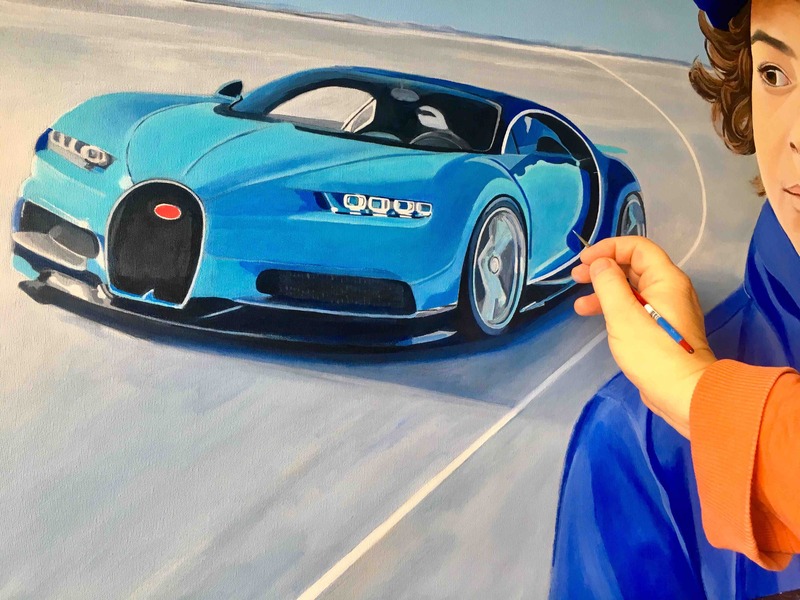 Painting a Bugatti Chiron with the Portrait of „Sammy“. Work in Progress. I am painting a Bugatti Chiron with the Portrait of „Sammy“. I am fascinated –the subject matter is real but the point of view in some areas of the car gives it an abstract quality.